The essence of elegance is a balancing act: this blue check suit is paired with a bold striped shirt while the blue silk tie features a refined geometric micro-motif. The final effect is a classic yet contemporary combination that catches the eye. Perfect for the modern-day man and his work week wardrobe. 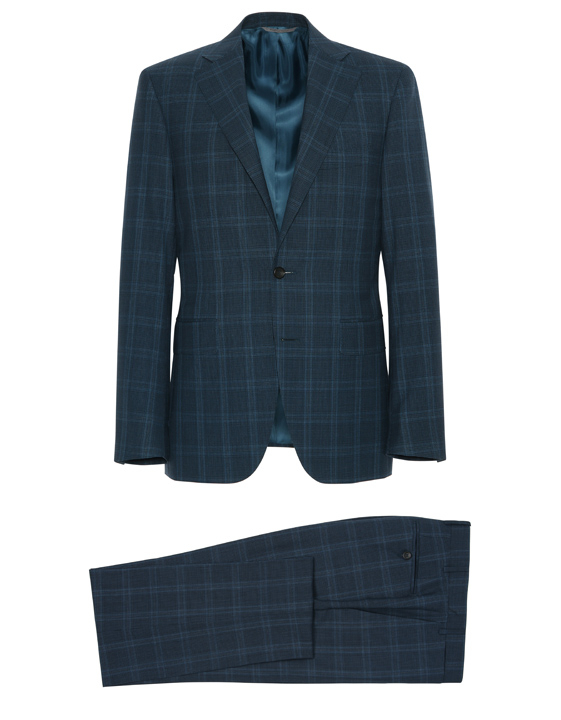 This elegant Capri suit comes in an elegant shade of petrol blue with a subtle light blue overcheck and is made from our luxurious Impeccabile wool - a material that is crease and stain resistant and breathable, guaranteeing an impeccable look from morning to night. This style is perfect for the modern-day man who is constantly on the go and will quickly become a go-to in your work week wardrobe. 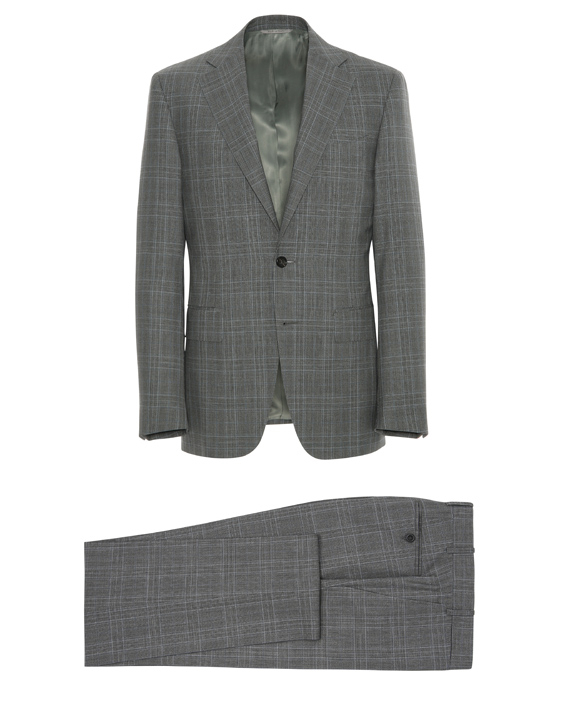 This elegant Capri suit comes in an elegant shade of gray and is made from our luxurious Impeccabile wool - a material that is crease and stain resistant and breathable, guaranteeing an impeccable look from morning to night. This style is perfect for the modern-day man who is constantly on the go and will quickly become a go-to in your work week wardrobe. Our 'Impeccabile' shirts blend elegance and practicality, making them an essential addition to your wardrobe. 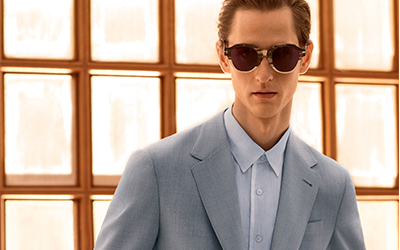 Shirts from this line are made from a special fabric that uses body heat to naturally remove creases while a modern fit offers a refined and contemporary silhouette. 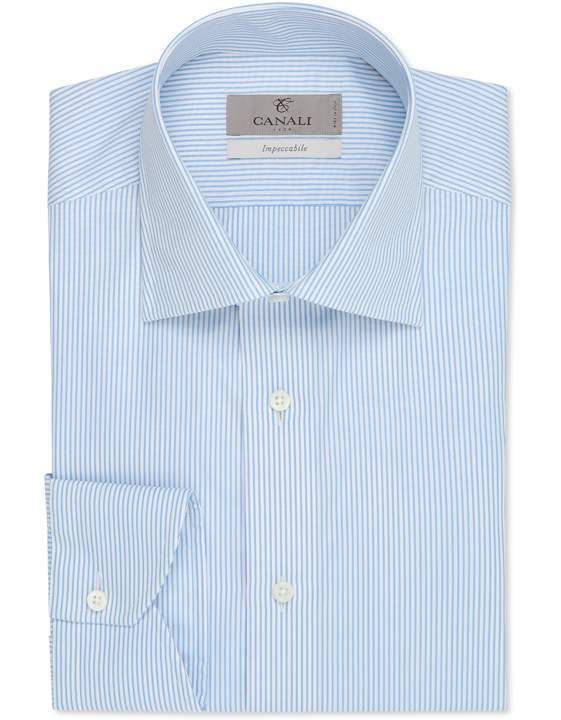 This style features light blue pinstripes for a dynamic and modern look. 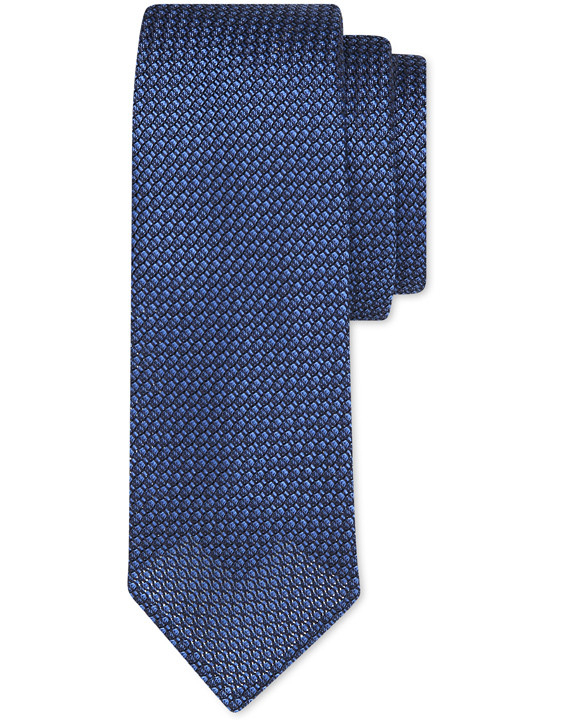 This contemporary tie is unlined and made from a soft silk gauze material in a refined shade of cobalt blue making for a unique Spring Summer accessory. Its distinctive texture will add a modern-day touch to your work week ensembles. 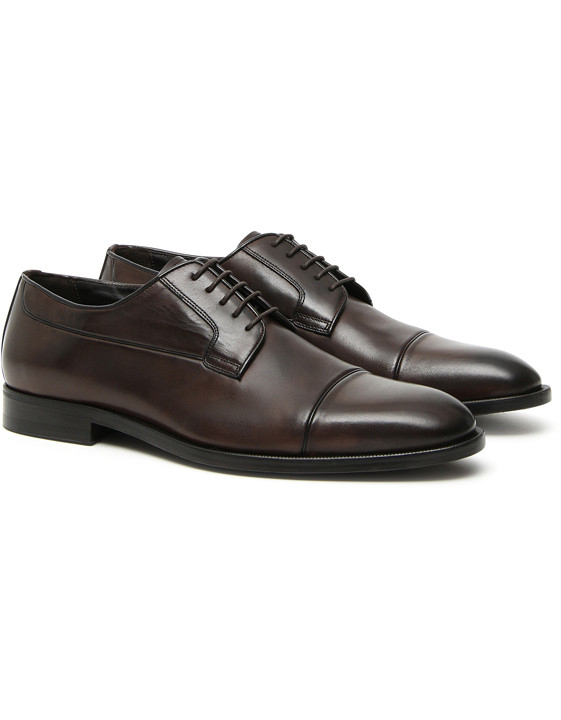 The dark brown leather derby shoe is an icon of classic menswear that will prove to be an everlasting part of your wardrobe, year after year. This particular style has been buffed by hand to achieve its nuanced shading while stitching along the toe cap adds a sophisticated finishing touch.